The Betfair Tingle Creek Chase hasn't always been a Grade 1 race, up until 1994 it was run as a handicap - a high-class one at that - which often meant the big stars of the National Hunt game didn't show up for fear of having to give lumps of weight to some unexposed improving handicappers. In 1998 all that changed when star chaser Desert Orchid turned up to shoulder 12 stone, having to give weight - upwards of 18lbs - to some specialist two mile chasers. What was even more remarkable was that Dessie - as he was so affectionately known - had previously won a high class renewal of the King George VI Chase over 3m, and a Whitbread Gold Cup over 3m5f! But neither the weight or the step back down in trip mattered to David Elsworth's dashing grey as he jumped for fun at the front of the field, and sauntered to a wide-margin victory - thanks to a quite stunning leap at the last - to the astonishment of everyone who witnessed it, including his jockey Simon Sherwood who was left shaking his head in disbelief after crossing the line. Not long after his victory in the 1999 Tingle Creek, Flagship Uberalles - who had already been trained by Dermot Weld on the Flat and Patrick Flynn in his early NH career - changed stables for a third time, moving from Paul Nicholls to the Noel Chance yard. On his first run for his new stable he defended his Tingle Creek crown, winning the 2000 renewal (at Cheltenham), but would later change yards again, moving to Phillip Hobbs ahead of his hat-trick bid in Sandown's showpiece December contest. Still only a seven-year-old, Flagship Uberalles looked to have a tough task on his hands against the reigning Champion Chaser and 6/5 favourite Edredon Blue, and he looked in trouble four out, being pushed along a few lengths behind the leaders. But he produced a sparkling turn of foot approaching the Pond Fence and landed some three lengths clear, before stretching his advantage further in the home straight to become the only horse ever - a record that still remains - to win the Tingle Creek on three different occasions. The future may yet produce a four-time winner of the Tingle Creek, but it's highly unlikely it will ever produce one to win it on at least three difference occasions all under a different trainer. *Betting titbit: Last year's Tingle Creek winner Un De Sceaux, like Douvan trained by Willie Mullins, is bidding for back-to-back victories and is priced up at 10/1 to do so. In 2008 the Paul Nicholls-trained Master Minded produced one of the all-time great Cheltenham Festival performances when, at just five years old, he won the Queen Mother Champion Chase in scintillating style. He was destined for stardom. He would largely live up to the hype in his immediate subsequent races, one of which was an easy victory in the 2008 Tingle Creek, but by the time the 2010 renewal came around - to be run at Cheltenham following the abandonment of the Sandown meeting due to heavy snow - Master Minded had lost two of his last four races and had been dethroned as the Champion Chaser. But the story ahead of the race wasn't just about Nicholls' star two-miler as the Ditcheat handler himself was incredibly trying to win the race for a sixth successive season and for a remarkable eighth time - in just 12 years - in total. Sent off the 10/11 favourite, Master Minded was given a superb stalking ride by Noel Fehily, who produced the seven-year-old perfectly two out to take up the running before winning in effortless fashion, evoking memories of his Champion Chase victory at the same venue two years earlier. *Betting titbit: Nicholls has since won the Tingle Creek for a ninth time, with Dodging Bullets in 2014, and bids to move into double digits of wins on Saturday with his main hope Politologue, currently an 11/2 chance. 2012 - What kind of ridiculous, unthinkable monster is this? It was a rhetorical question that Nick Luck posed after Sprinter Sacre's breathtaking victory in the 2012 Tingle Creek Chase, but it was one that every racing fan who witnessed the race that day was also asking themselves. 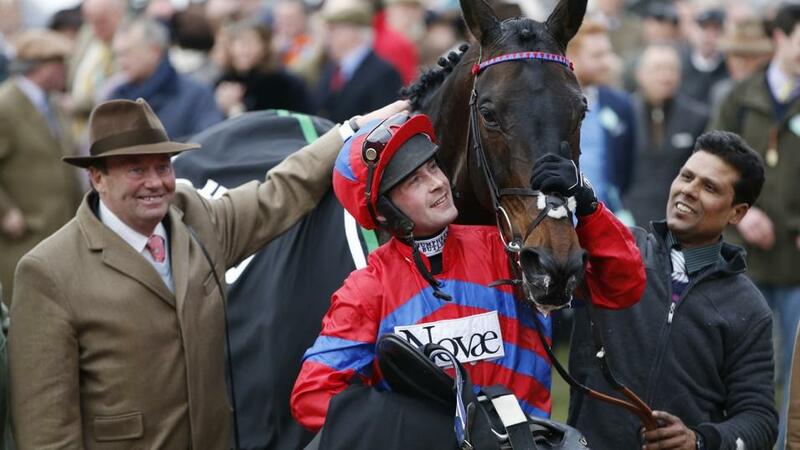 Sprinter Sacre had won five out of five chases in his Novice season, including the prestigious Arkle Trophy at Cheltenham, but on his seasonal reappearance, his first race out of Novice ranks, he was expected to face a stern test in the shape of Paul Nicholls' vastly improving Sanctuaire. What would ensue had to be seen to be believed. Nicky Henderson's super star two-mile Chaser stalked a blistering pace set by the Nicholls runner, and approaching the Pond Fence we looked set for the expected battle between the big two. But without seemingly letting out an inch of reign Barry Geraghty's mount went further and further clear, jumped the last few fences superbly, and recorded a quite brilliant wide-margin success with the minimum of fuss. What kind of ridiculous unthinkable monster was Sprinter Sacre? His two Queen Mother Champion Chase victories - separated by a career-threatening injury - provide the ultimate answer. *Betting titbit: The reigning Champion Chaser, Special Tiara, is rated an outsider ahead of Saturday's Tingle Creek renewal, available to back at 25/1 on the Betfair Sportsbook.